Getting fit and toned can be tough. But it can be even tougher on your joints! IdealLean Glucosamine supports and protects healthy joints, as well as preserving important cartilage and collagen throughout the body. 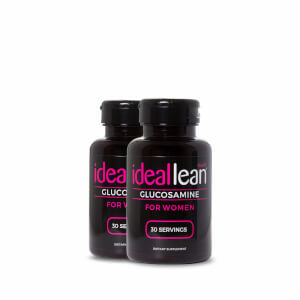 Now with IdealLean Glucosamine, every stride, stroke, and squat can be your very best! It really help with soreness and stiffness. I went through a bottle of this, then went to Costco and bought their Glucosamine. NOPE--it hurt my stomach so bad, I took it back and get more of this! No upset tummy and I feel a noticeable difference in my knees. Another winner from IdealLean. Glucosamine is a must have for any healthy active lifestyle as it eases the joint pain so you can hit or exceed your fitness goals. I'm already beginning to tell a huge difference in my knees, which was my problem area, key word "was". I have about one day a week that I still have some pain in my joint but it's very mild and I believe with time that will completely go away. It is awesome, I just love! This is a must have! especially for athletes and as you get older your joints are less protective and become more vulnerable. I've noticed I hardly get joint tenderness anymore after a couple weeks with this use. Glucosamine in your body helps keep up the health of your cartilage the rubbery tissue that cushions bones at the joints. 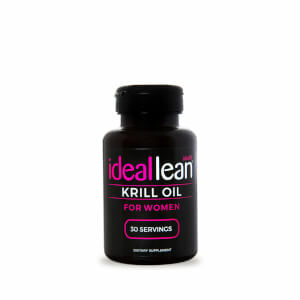 But as you get older, your levels of this compound begin to drop and leads to the gradual breakdown of the joint, which makes this very important to have in your routine.